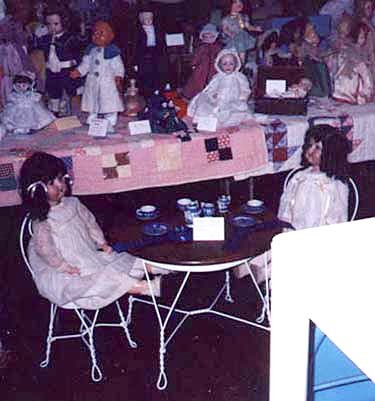 The best of the Dancyville doll show was Polly, owned by ANNA MARIE CRAWFORD, and Peggy, owned by DOROTHY MOORE. about 1923. She also said that MARY DANCY, their teacher at the Dancyville School, named both the dolls.